Home » » Atiku: APC’s Claim On My Birth Is 'Ridiculous', 'Pedestrian'. Atiku: APC’s Claim On My Birth Is 'Ridiculous', 'Pedestrian'. Nigeria Former Vice President Alhaji Atiku Abubakar yesterday dismissed claims by his main opposition party All Progressives Congress (APC) that he is not a Nigerian by birth and therefore unqualified to rule the country as infantile logic. 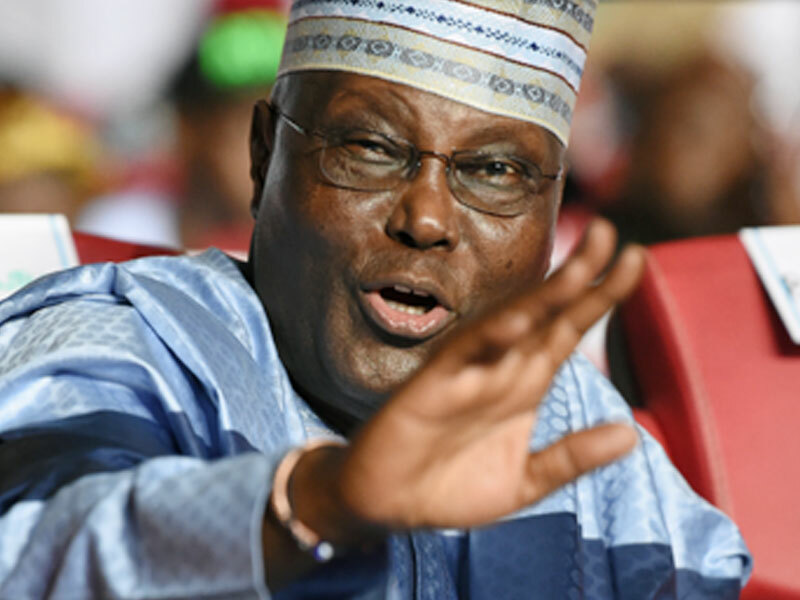 Atiku’s chief media aide Paul Ibe, who responded on his behalf in a statement said: “Atiku Abubakar, told us previously that he has verifiable and incontrovertible evidence to show that the last Presidential elections were fraudulent, not credible and did not reflect the will of the Nigerian people, and he has been vindicated by the response of the All Progressives Congress and its candidate, President Muhammadu Buhari, to his petition to the Electoral Tribunal hearing the petition he filed. “The fact that the APC chose to base its defense on the ridiculous assertion that the Waziri Adamawa is not a Nigerian should show to Nigerians the type of characters we have in the APC and its government, whose legitimacy runs out on May 29, 2019. “The position of the APC is so pedestrian and shows such straw clutching desperation on their part, that I shall not dignify it with an answer. Our lawyers would, of course, do the needful in court. But the point I want to draw the attention of Nigerians to is that both the APC and its candidate have by this infantile logic admitted to the fact that they trampled on the will of Nigerians and that their only defense is to attempt an unconstitutional redefinition of the term ‘Nigerian’.